Ever heard the saying, “West Coast, Best Coast”? Well when it comes to tennis, it’s hard to argue against that. The west, and especially southwest, is known for beautiful, sunny, dry weather and a very active population, which fosters a thriving tennis scene. You can find great tennis opportunities everywhere you go in the West, but there are certain cities that rise to the top as the best tennis destinations in the West. 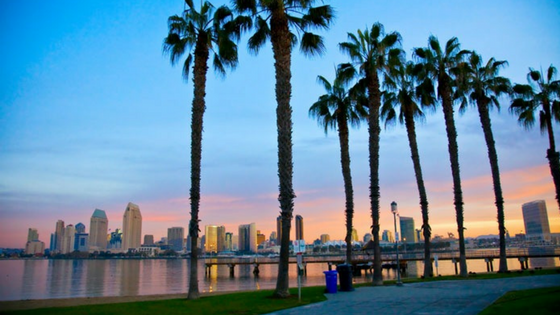 Here are the top 5 best cities for tennis west edition. San Diego would find itself on lists that include the best tennis cities in the world, so it was a shoe-in for the top spot on this list. San Diego features the most consistent, beautiful weather in the nation, and with an average high of seventy degrees, it is rarely too hot and almost never too cold for outdoor tennis. Perhaps best known for Balboa Park, a gorgeous 1,400 acre park highlighted by a 24 court tennis facility with a 4,000 seat stadium, the city has no shortage of stunning facilities. While the tennis is fabulous, the options for post tennis relaxation are second-to-none. Head to Pacific Beach for a cocktail, go catch a Padres game at Petco Park, or stroll through the upscale Gaslamp District. You simply can’t go wrong! It is a well-kept secret that people from Seattle perpetuate the “It’s always rainy…” myth to keep people from moving there. Well, the cat’s out of the bag as Seattle is one of the fastest growing cities in America. Seattle is home to nearly 500 public tennis courts, and if it rains (heaven forbid), the Amy Yee Tennis Center is the largest indoor tennis facility in the Pacific Northwest! If you are looking for something a little swankier, the Seattle Tennis Club certainly won’t disappoint. 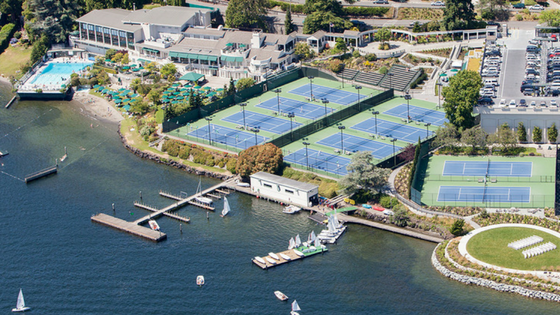 Set on the shores of Lake Washington, it offers pristine, picturesque hard and har-tru courts with amenities to cater to even the most discerning members. Palm Springs is so much more than an escape for snowbirds and golf-addicts. It’s always sunny, and in the winter and spring months people flock for the tennis scene. Even so, with a borderline ridiculous amount of tennis resorts, it is never (too) difficult to find a court. 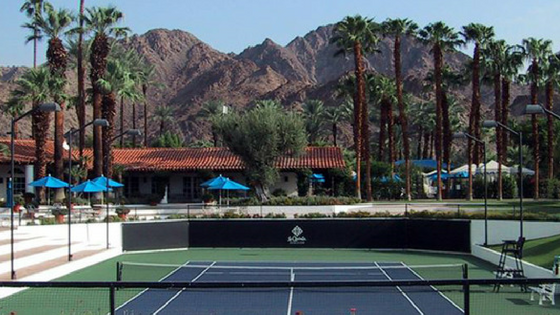 The La Quinta Resort and Club is consistently ranked among the top tennis resorts in the world and is frequented by celebrities. Head down in March to catch the crown jewel of Palm Springs, the BNP Paribas Open, sometimes referred to as tennis’ “Fifth Major,” for the most fan-friendly tournament in the world! Sun, no humidity, and over 1,000 tennis courts. That’s what Phoenix is all about, baby! What more could you ask for? Perhaps some stunning pools, an up-and-coming food scene, and all four major professional sports teams will sweeten the pot. Seriously, are you not planning your tennis trip to Phoenix yet? 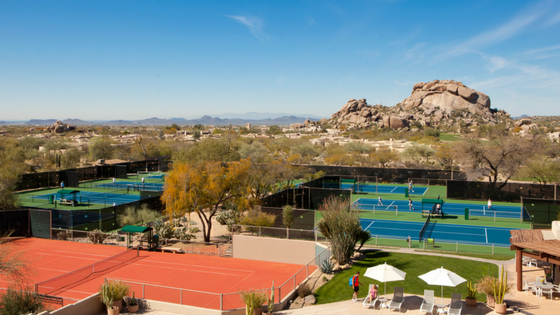 For the ultimate luxury tennis vacation, head to the Boulders, about twenty miles North of Phoenix, and enjoy the definition of a desert oasis! San Francisco is now as iconic for its status as the “tech” capital of the world as it is for its landmarks. 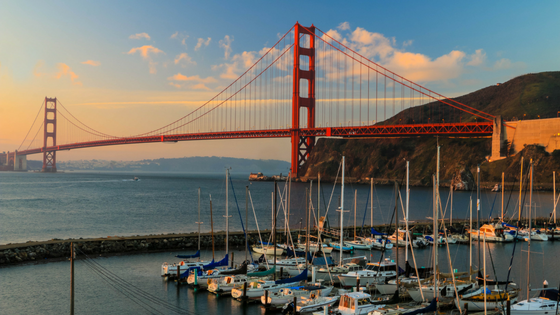 However, all we really care is about the tennis, and the hidden gem of a tennis facility in the shadow of the Golden Gate Bridge was enough to put San Francisco on our list. The Tennis facility at Golden Gate Park features 21 well-kept courts, and hosts everything from professional events to summer camps. The city also plays host to the longest running women’s only professional tennis tournament, The Bank of the West Classic. Played each July at Stanford, it has seen many great champions, and has been recently dominated, in a surprise to nobody, by Serena Williams.